With fun attractions, sparkling lakes and beautiful scenery, there are plenty of opportunities to snap stunning vacation photos in Branson. If you’re looking to beef up your vacation album or share a shot on social media that will make all your friends jealous, here are some picture-perfect spots to get started. Arrive on the hour for a dazzling performance that resembles something out of Las Vegas — probably because the folks who created Branson Landing’s wildly impressive fountain show are the same masterminds behind Bellagio’s famed water feature. Watch as 120-foot geysers of water soar into the air intermingled with bursts of flames and brilliant lights, all carefully choreographed to classic American songs. 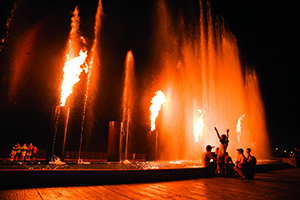 Arrange your group for the shot and snap a photo of the fountains in action, or shoot a video and capture the whole show. You can blame this enormous roadside attraction for slowing traffic along Highway 76 — but you, too, will want to see what all the fuss is about. Meet Mr. Peck, a 43-foot-tall rooster wearing a blue bowtie, star-emblazoned vest and a chainsaw-chiseled, red-combed head. 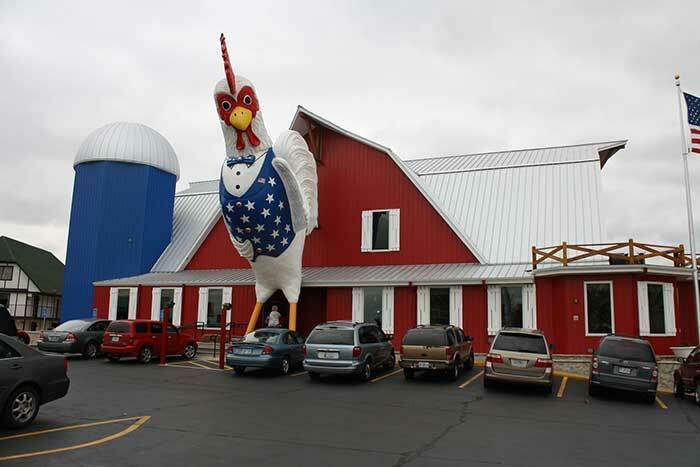 He’s the tallest rooster in the world and spends his days greeting guests of The Great American Steak and Chicken House. After you finish snapping photos with the prodigious poultry, stop inside to sample the restaurant’s other main attraction — country cooking. You wouldn’t be caught on a Hollywood red carpet without a camera — the same rules apply here in Branson. 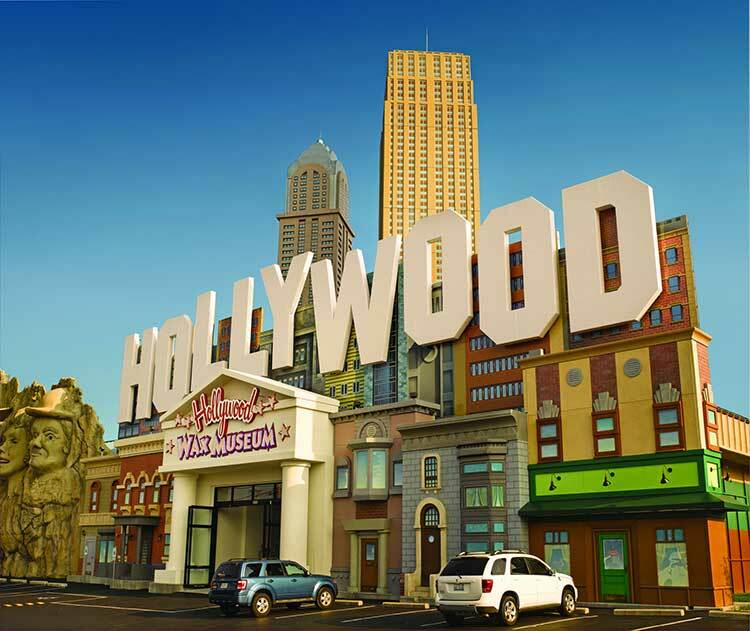 One of Branson’s most photographed attractions, the Hollywood Wax Museum Branson is home to a dizzying array of glamorous movie stars, all ready to cameo in your next selfie. Before you enter, collect a few photos from the outside where the museum’s façade has been fashioned into both a New York City skyline and a Hollywood-themed Mount Rushmore. Once you’re inside, recreate famous scenes from classics like King Kong and the Wizard of Oz. Flash back to the turn of the 19th century when showboats dotted the Mississippi River. Nowadays, the only way to see this kind of bygone era-vessel in Branson is by way of the White River Landing. Showboat Branson Belle’s dock is the perfect vista to capture Branson’s illustrious 1800s-style paddlewheel riverboat, complemented by sweeping views of Table Rock Lake. If you think the views from the overlook are impressive, consider taking a two-hour dinner cruise for incredible sunset sights atop beautiful blue waters. Perched high above Branson is one of Ozarks’ most picturesque panoramas — Top of the Rock. 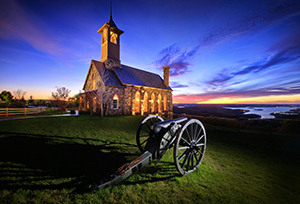 As Taney County’s highest elevation point, this distinct heritage preserve is home to several heart-stopping attractions: a world-class, Par 3 golf course; a natural history museum; an all-American wine cellar; a rustic barn-turned-restaurant-and-pro-shop; Civil War-era cabins; an enchanted chapel; and a nature trail teeming with caves, waterfalls and covered bridges. Whether you’re making the up-mountain voyage for a sunrise tee time or a sunset nature hike, be sure to have your camera handy for what’s sure to be your best filterless Instagram photos yet. Get your GoPro and selfie stick ready — a trip to Branson is not complete without a few action shots on one of Branson’s three unspoiled lakes. 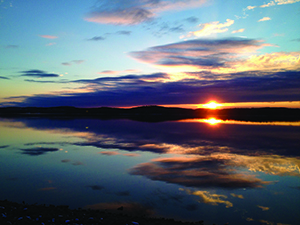 Watersport fanatics spend warm, summer days frolicking in the temperate waters of Lake Taneycomo, Table Rock Lake and nearby Bull Shoals Lake. Designate a photographer to snap shots while you ski, wakeboard and tube, or strap a GoPro to your life vest as you parasail high above the water — making for an epic POV. Whichever activity you choose, be sure to pack a waterproof camera to capture the wettest and wildest memories from your trip to Branson. Share your Branson vacation photos with us on Twitter and Instagram using ‪#‎ExploreBranson‬. Share your Branson Story!